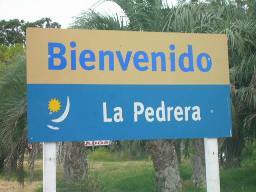 La Pedrera Uruguay is one of the most attractive and comfortable locations to visit in this small South American country. This is a coastal area with great beaches and wonderful scenery. Unlike the more populated area near Punte del Este Uruguay, the land around La Pedrera is far more peaceful and quiet with fewer people and a relaxing atmosphere. Beach holiday enthusiasts eagerly seek out the more glamorous coastal resorts when they come to Uruguay and it is worth knowing that La Pedrera is the place to go when you want to leave the crowds and noise far behind you. If you are searching for a vacation destination where you can enjoy a tranquil holiday then you should keep La Pedrera Uruguay in mind. Unlike many neighboring resort areas this region remains true to its roots and it is a place that allows tourists to sample the real flavors of Uruguay. 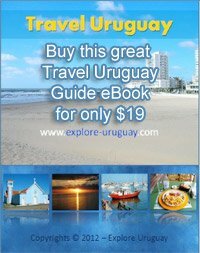 You can easily reach this city in Uruguay by bus, and there are many scheduled bus trips that ferry passengers back and forth from the capital city of Montevideo Uruguay. If you prefer, you can also hire a private taxi to take you to the coastal setting of La Pedrera Uruguay. There are buses that will pick up passengers directly at the Montevideo Airport but many people prefer to go directly to the city's primary bus terminal at Tres Cruces and board the buses there. To reach the beach at La Pedrera from Montevideo will involve a bus ride of 4-5 hours. Once you arrive you should be prepared to experience a very rural setting. The currency used is the Uruguay peso but American dollars are also accepted. If you need assistance you just have to ask and someone will be happy to help, but don't expect taxicabs to be parked at curbside waiting for your arrival. You can make arrangements ahead of time for your transportation from the bus terminal in La Pedrera but it is usually just as convenient to call your hotel in Uruguay and ask for someone to come for you as soon as you arrive. The panoramic views of the ocean that greet you as you drive through these streets are quite incredible and may become your favorite vacation memories. You will quickly notice that there are no beachfront businesses, and just a few small homes along the shores of the city. For many people this is the first time that they ever have the opportunity to experience such clean beaches in Uruguay and stunning clear blue ocean water. There are no nightclubs, no banks, no Uruguay government offices and no high rise condos in La Pedrera. For an ATM, a post office or a night out on the town you will have to travel to the city of La Paloma or even back to Montevideo. For some people this isolated type of environment is heaven on earth but to others it may seem a bit inconvenient. There are a few hotels where you can stay; in fact there are exactly 3 lodging choices to choose from. One popular La Pedrera hotel is Las Terazzas that features some apartments and efficiency suites for guests. With clean rooms, magnificent ocean views, modern conveniences and a hospitable staff you will have everything necessary for a perfect vacation stay. 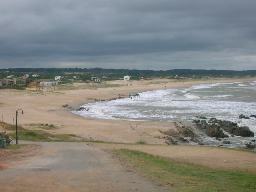 This little Uruguay town is an ideal choice for anyone who enjoys the beach and casual surroundings. You can browse the local market that is located on the city's main street and there are some local shops, restaurants and a great bakery that serves up a variety of authentic Uruguay food and freshly baked treats. There are trails to enjoy that will take you along the beach and out into the forests. You might also be interested to hear that those gigantic outcropping of rocks that are found along the coastline of La Pedrera Uruguay are believed to be the oldest existing rock formations anywhere in North, South or Central America.